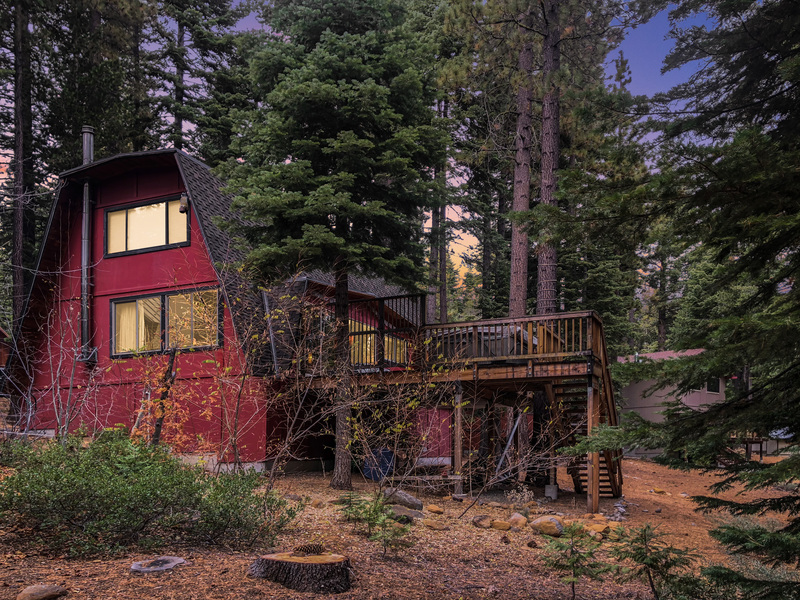 Enjoy the much desired Tahoe Park HOA perks from this charming cabin on the West Shore! Located on a quiet cul-de-sac in a wooded setting, this mountain retreat features two bedrooms upstairs, one bedroom on the main level, two full baths, and laundry closet. Relax and unwind year-round on the private deck with hot-tub off the spacious living area. This open layout with 1,944 square feet is ideal for family and friends to gather for summer and winter fun. Excellent outdoor activities nearby with local skiing at Homewood Ski Resort or hiking, biking, snowshoeing, and cross-country skiing at Paige Meadows. Minutes drive to the private Tahoe Park Homeowners Association with beach, pier, buoy, picnic/lawn areas, and large playground for the kids. Contact Team Blair Tahoe about this delightful home with strong rental opportunities, coveted HOA membership, and access to all things Lake Tahoe!